Available for the first time in one volume! The author has acquired a vast wealth of knowledge, data and experience in boat angling, sport and wreck diving over a period of almost 50 years and has written various wreck books, including two volumes about shipwrecks off the north-east coast of England. However, this book is far superior. 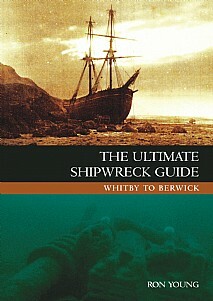 No other single publication has so much information about the shipwrecks and crews that were lost over this huge region of the North Sea from Whitby to Berwick and up to 40 miles offshore. There are 285 wrecks in total, including 22 located in an area known ominously as the 'Graveyard', about 30 miles off the River Tyne, that has never previously been written about, plus dozens of almost certainly virgin wrecks that are just waiting to be explored! The book is absolutely jam-packed with valuable information and technical data including the ship's builders, past owners, dates and name changes and in many cases the captains' names. Precise WGS84 GPS positions are supplied for each wreck and these have been meticulously checked over several years to ensure they are correct and as accurate as humanly possible. Many of the wrecks are in depths of between 80 and 100 metres - well beyond the range of normal sport divers - but with new technological advances in equipment they offer exhilarating future projects. However, for the boat angler they will be paradise found! Where possible, the ship's previous service history has been supplied, followed by a detailed account of its final voyage/patrol and its demise. Some of the Board of Trade Wreck Reports, survivor and witness statements tell of harrowing and terrifying anecdotes. This is Ron Young's best book to date. Sure to be of immense appeal to all divers including those from European countries such as the Netherlands, Germany, France and Scandinavia; sea anglers plus anyone with a fascination for the sea, shipwrecks and maritime history.